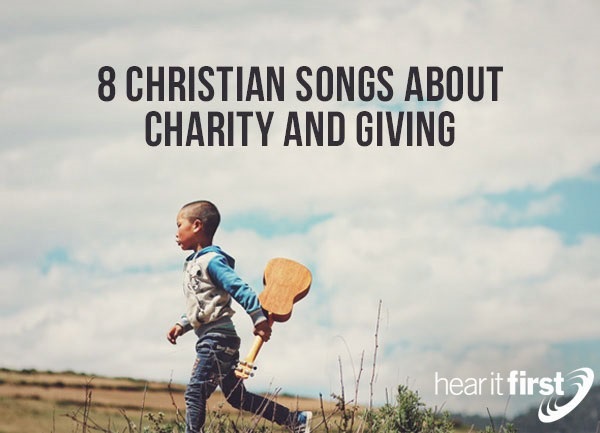 Here are eight great Christian songs about charity and giving. The song, We Are the World, released in 1985 by USA for Africa placed Ethiopia’s severe famine and widespread starvation directly in the world’s eye. This song sold over 23 million copies and raised 63 million dollars for relief in one of the hardest hit places on earth. Some of the stars who participated include Michael Jackson, Richie, Stevie Wonder, Tina Turner, Billy Joel, Willie Nelson, Bruce Springsteen, Bob Dylan, and Ray Charles. With such a Hall of Fame lineup and the global success this song had for charity, it is hard to think of a song that could equal it, as far as its benefit to so many. Do They Know its Christmas 1984? The song, Do They Know it’s Christmas by bob Geldof of the Boomtown Rats, along with Midge Ure of Ultravox in 1984 assembled an all-star lineup to participate, with the likes of Sting, Bono, Phil Collins, Boy George, George Michael, and members of Duran Duran, and this event became known as Band Aid. They sing this song of hope and charity personally to West Africa, singing, “At Christmas time, we let in light and banish shade. And in our world of plenty, we can spread a smile of joy. Bring peace and joy this Christmas to West Africa. A song of hope they'll have is being alive.” It was recently remade in 2004 to benefit Sudan's troubled Darfur region. Henry Smith’s Give Thanks With a Grateful Heart is among the favorites for when church offerings are taken up, and the lyrics tell us why we ought to be thankful, as the author writes, “Give thanks unto the Holy One. Give thanks because He's given Jesus Christ, His Son,” and “let the weak say, "I am strong" Let the poor say, “I am rich.” Because of what the Lord has done for us.” Mr. Smith certainly gives us more things to be thankful for than money, and sees the reason we should be giving thanks to God for all that He’s done for those who have repented and trusted in Christ. The song, Charity and Grace by Steve Roberts is one of the best songs about giving that almost nobody knows about. Just listen to what he sings (writes), “you can see it in their lives, a mother's loving face, a father's gentle touch, let's them know that they are loved so very much,” but if we “We teach them to be angry, we teach them how to hate, life is but a moment, so we teach them not to wait, the angels must be crying, can you hear the awful sound, innocence is dying, everywhere it's found.” This represents what we teach our children either verbally or by example. If we teach them how to hate, they’ll hate, but if we teach them how to love, then they’ll know they supposed to love. What greater gift could a parent give to a child? Do Something, by Matthew West is clearly a song about seeing a world that is in desperate shape, ready to fold like a house of cards at any time. West bemoans what he thinks is a God Who could do something about the evil world and so asks, “God, why don’t You do something?” Well, I just couldn’t bear the thought of, People living in poverty. Children sold into slavery. The thought disgusted me. So, I shook my fist at Heaven” but God’s clear answer to West was “If not us, then who. If not me and you. Right now, it’s time for us to do something,” meaning that West understood that God calls all of us to serve and give, and not to shake fists at God because we think He doesn’t care. The song, If We are the Body, by Casting Crowns stresses the life that Christians are called to live, as they sing, as they believe that it’s our responsibility as God’s ambassadors in an aching world, it became an anthem for Christians, singing If We Are the Body, “Why aren't His arms reaching? Why aren't His hands healing? Why aren't His words teaching?” and “if we are the body. Why aren't His feet going? Why is His love not showing them. There is a way? There is a way? A traveler is far away from home,” so their point is, if we are the body of Christ (Matt 28:19-20), why not show it in our lives by giving, serving, and going? The song, Give Me Your Eyes” is a plea in song for God to give us eyes by which to see all those who are hurting in the world, but also “Give me Your arms for the broken hearted. The ones that are far beyond my reach? Give me Your heart for the one's forgotten. Give me Your eyes so I can see” and for the man who is out of work, he is “Too ashamed to tell his wife. He's out of work, he's buying time” so “Give me Your arms for the broken hearted. The ones that are far beyond my reach? Give me Your heart for the one's forgotten” so that Christ’s love can be seen.